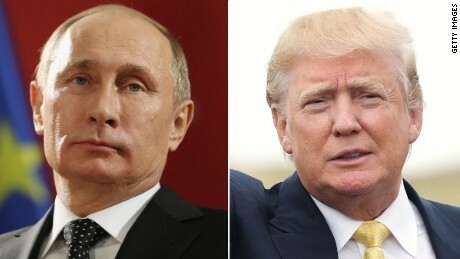 Why is Russia Trying to Get Trump Elected? There’s been significant reporting on potential Russian involvement in hacks of the DNC and a number of other pro-Clinton entities. Interestingly, the outcome always seems to be the same, i.e., against Clinton and for Trump. It’s left me and a lot of other people asking a simple question. I have a hypothesis, which is based only on a cursory following of these stories. Obama has successfully made Putin look like a dangerous, would-be tyrant. His activities in Ukraine, his constant aggressive behavior, the military fly-bys—it’s left him ostracized and looking like a dangerous child in a world of adults. Clinton would further this policy, if not make it worse for Putin, which he cannot have. With Trump, however, Putin could turn things completely around. Trump would be so crazy, so random, and so obviously dangerous, that Putin could transform overnight from tyrant to hero and savior. See? See what I mean about the U.S. being dangerous? And look how they’re expanding in Europe against the spirit of the treaties! They elected a crazy man, and now we’re seeing what they really are! They’re the bad guys, and I’m going to save you from them! In short, maybe Putin is trying to get Trump elected so that he’ll be able to play the role of international savior from the (then obviously evil) US. And in order to do that, he’s collecting as much as possible that he (or someone else) can use to harm Clinton during the election. Again, just a crude hypothesis. But it seems to both fit the situation and Putin’s experience in the KGB. The list of examples of hacks seemingly attributed to Russia continue to point in one, and only one, direction, which is pro-Trump. It’s important to note that it’s possible that Russia is still doing the hacks, but that this my reason above is not correct. It’s also possible that it’s not Russia but the reason is correct. Or that neither is. This is all just speculation, but speculation that I believe to be well-founded. EDIT 14.10.16: RT is massively pushing news to promote Trump and destroy Hilary as well. EDIT 14.10.16: There’s now massive coverage around how Bill Clinton made a huge mistake by bombing the Serbs during the fall of Yugoslavia. This has been combined with push of Trump being pro-Serb. EDIT 14.10.16: Poedesta was hacked (supposedly by Russians) and his Twitter was used to broadcast pro-Trump messages.